Yumenoshima, meaning "Dream Island," originated as a garbage dump. 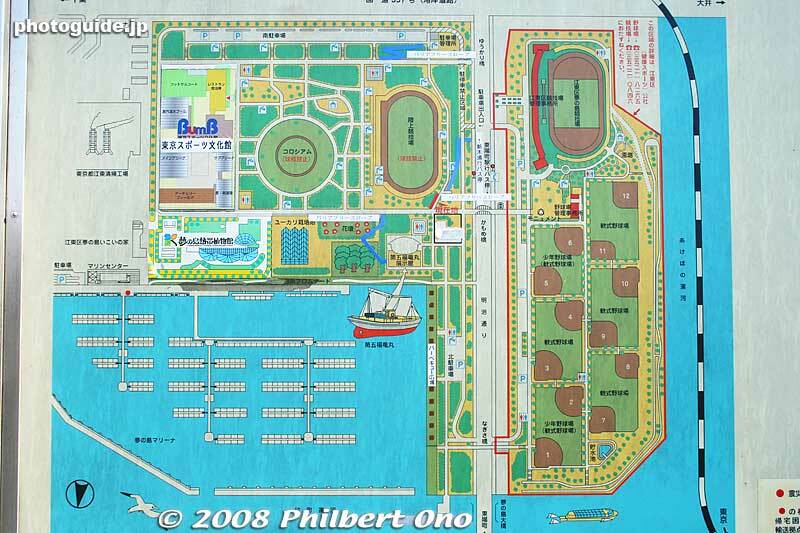 It has been developed as a public park and sports park. The main attractions are the Yumenoshima Tropical Greenhouse Dome and the Daigo Fukuryu Maru exhibition hall. Near JR Kiba Station on the Keiyo Line. Buses also run from Toyocho Station on the Tozai Line.